This past Tuesday’s Election Day results shook the entire world with the official declaration of our future 45th president, Donald Trump. In recent history this has arguably been the most controversial election of our time. From e-mail scams to blatant statements of bigotry, the American public watched in fear and awe. The results have left a vast majority of the public in a state of panic. TWLOHA has been spreading positivity since it’s inception 10 years ago in Orlando, FL. Through peer support and positivity the founders of To Write Love On Her Arms carried their friend away from the shackles of addiction and mental health illness. From this inspiring story others themselves reached out for help and thus TWLOHA was born offering support for people all around the world. Currently TWLOHA has donated over $1.6 million dollars to direct relief of people in need of help with treatment and recovery. They’ve touched people on an international level and have helped over 180,000 people personally. 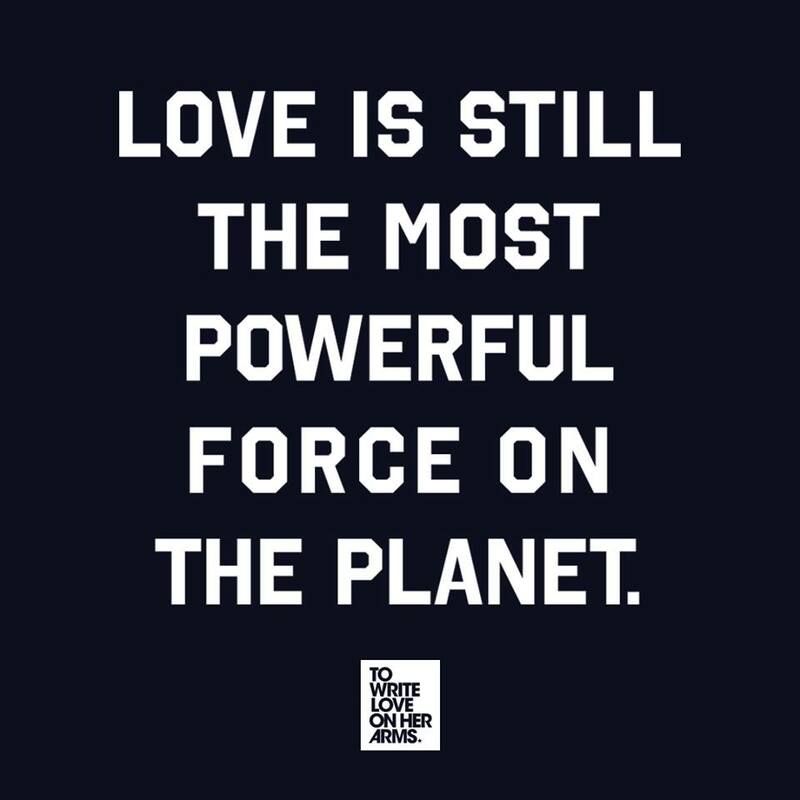 With such a frenzied state our nation is currently going through in wake of the election results, TWLOHA had their own words of comfort to offer. In the immediate days following the election TWLOHA received an influx of requests for help, and they felt the need to address this issue on a public scale. In particular the LGBT community felt targeted as our newly announced leaders once supported such extreme ideas as shock or conversion therapy for those who associate themselves as LGBT. With a stirred up nation of individuals being provoked to act on blindsided hateful and aggressive ideals, the LGBT community specifically is in fear of what’s to come for the next four years. In an “Open Letter” response TWLOHA wanted to make it more clear than ever that they have been and will continue to be a bastion of support and optimism. To Write Love On Her Arms has pledged to be there for the countless number of people struggling with the anxiety of what’s to come. Although leadership has changed, it does not change the ability as an individual to still spread love and positivity. The latest development with our future leadership in this country will not deter TWLOHA from pursuing to be the number one advocate for supporting those with addiction, depression, suicide, and self-injury. TWLOHA vowed that they “will do everything in our power to help you,” in their latest letter to the public. Above all To Write Love On Her Arms reminds you that love is the strongest force in the world no matter what changes might occur socially or politically. Check out the TWLOHA “Open Letter to Those Afraid of What Comes Next” for some words of comfort and direct referrals for those in need HERE. Follow To Write Love On Her Arms for more information on current and future campaigns on their Twitter, Facebook, and Instagram.